1. Enable and set IP address on LAN interface to be the first assignable IP of this subnet. 2. Enable and set IP address on each serial interface to be the last assignable IP of its own subnet. 4. 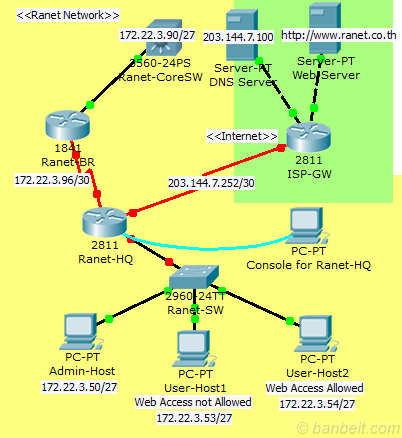 Set default route to allow the connection with internet. - Not permit only User-Host1 to connect to any site in the internet. - Any traffic beside these should be allow. You can view and download this solution here.